Make An Entrance Limited “Make An Entrance”, “makeanentrance”, “we”, “us” or “our” is the trading name of Make An Entrance Limited and company registered in England and Wales with the company number of 05493000 whose registered office is situated at Unit 14 Sadler Court, Sadler Road, Lincoln, LN6 2RG, ENGLAND. Email address: help@makeanentrance.com. Telephone +44 (0)20 8819 5869. VAT Registration Number: GB 868 5898 37. Website “Website” or “website” refers to any of the websites owned and operated by Make An Entrance including but not restricted to https://www.makeanentrance.com or any subsequent URLS which may replace it. Buyer “Buyer”, “buyer”, “user”, “you” or “your” refers to you as a customer what is placing an order with Make An Entrance and/or you as a user of this website. By accessing the website https://www.makeanentrance.com, completed a customer registration and/or placing an order, you are agreeing to be bound by these terms of service and all applicable laws and regulations. You also agree that you are responsible for compliance with and applicable laws. If you do not agree with any of these terms, you are prohibited from using or accessing this site. The materials on Make An Entrance’s website are provided on an 'as is' basis. Make An Entrance makes no warranties, expressed or implied, and hereby disclaims and negates all other warranties including, without limitation, implied warranties or conditions of merchantability, fitness for a particular purpose, or non-infringement of intellectual property or other violation of rights. Further, Make An Entrance does not warrant or make any representations concerning the accuracy, likely results, or reliability of the use of the materials on its website or otherwise relating to such materials or on any sites linked to this site. Make An Entrance products are bought as seen on the website, and as described. These can only be returned or refunded in line with section 14 Cancellations, Returns and Exchanges. 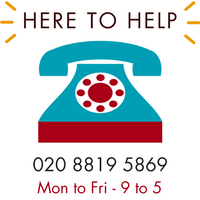 Telephone: +44 (0)20 8819 5869 – open 9:00am till 5:00pm Monday to Friday. All other times, messages can be left on our answer phone and will be returned the next business day. The materials appearing on Make An Entrance website could include technical, typographical, or photographic errors. Make An Entrance does not warrant that any of the materials on its website are accurate, complete or current. Make An Entrance may make changes to the materials contained on its website at any time without notice. However, Make An Entrance does not make any commitment to update the materials. When registering as a customer on Make An Entrance’s website the information that you provide is true, accurate and current. If you wish to change or amend any of the information provided it is your responsibility to inform us either via phone +44 (0)20 8819 5869 or via email help@makeanentrance.com. The information provided is used contact you regarding your order and/or any issues with it, so its accuracy is vital. If you no longer wish to remain registered with the website you may cancel your registration by sending notice of cancellation to help@makeanentrance.com. All prices indicated for products available via the website are inclusive of VAT (where applicable) at the currently applicable rate, if you believe you should not be charged VAT in the first instance (for example, a resident of the Channel Islands) please contact us via email help@makeanentrance.com or via phone +44 (0)20 88195869. Monday to Friday, 9.00am to 5:00pm on +44 (0)20 8819 5869. Please contact us via email help@makeanentrance.com or via phone +44 (0)20 8819 5869. Following checkout simply write to us at Make An Entrance Limited, Unit 14 Sadler Court, Sadler Road, Lincoln, LN6 2RG, ENGLAND quoting your Order ID and enclosing a sterling pound cheque drawn on a UK bank account made payable to "Make An Entrance Limited". Please ensure that you write your name, address and order ID on the reverse of the cheque. Please note that Goods will not be dispatched until payment by personal cheque has cleared. We use Royal Mail or specialist mailing or express couriers, depending on the type of matting and destination of the goods. Delivery in the UK by these methods usually takes approximately 48 hours and up to 14 days for the rest of the world after dispatch. Considering these delivery times, you accept that time is not of the essence although we will make every effort to ensure that your order is processed, and your goods delivered as quickly as possible. If you would like to track the processing and despatch of your order, please call us on +44 (0) 20 8819 5869 or email us at help@makeanentrance.com. Order subtotal £39.99 and under £3.95 per order. £19.50. If the price is different because of size, weight or location, Make An Entrance will contact the customer to discuss and agree a suitable price for postage. Please contact us on +44 (0)20 8819 5869 or via email help@makeanentrance.com for more information. We cannot offer any refunds for customised or bespoke goods which are not damaged or defective. This includes made to measure mats, and mats with any form of printing, including lettering or pictures. Furthermore, cancellation of bespoke orders is only possible if it has yet to be produced by our workshop. Post production cancellation is generally not available, but please call our customer service centre on +44 (0)20 8819 5869 for further information. We do hope you will be delighted with your purchases. If for any reason you are not pleased with your purchase, you must inform us within 14 days of receipt of goods that you wish to cancel your order. You can do this via email help@makeanentrance.com or via phone +44 (0)20 8819 5869. Please contact us prior to returning your goods via email help@makeanentrance.com or via phone +44 (0)20 8819 5869 goods so that we can specify the correct returns address. If an exchange is required, it is your responsibility to check with us that the stock is available to make the exchange. We will not accept any responsibility for loss or damage to goods returned in this way until they are received at the address specified by Make An Entrance. We strongly recommend that returns are sent by 'recorded courier delivery' and the original proof of posting is kept. Please note that we are not responsible for return postage other than for incorrectly supplied, defective or damaged goods. It is your responsibility to contact our customer service centre via email help@makeanentrance.com or via phone +44 (0)20 8819 5869 to authorise the returns process. Return postage for goods returned for any other reason than incorrectly supplied, defective or damaged goods shall be solely at your cost. We also unable to refund more than the original payment made for the order. You are only eligible for a full refund if you have informed us that you wish to cancel via email help@makeanentrance.com and we have confirmed receipt of said email or via phone +44 (0)20 8819 5869 within 14 days of you receiving your goods. If you have any questions regarding these terms, please contact us by email at help@makeanentrance.com.